Welcome to the world of seventeen-year-old Cassandra Mortmain. Written over eight months and in three notebooks, Cassandra tells of her extraordinary and very eccentric family and their life in a crumbling ramshackle castle. What was a very quiet and unassuming life for the Mortmains is fast transformed by the arrival of new, wealthy neighbours from America and Cassandra finds herself falling in love. Set in the idyllic English countryside in the 1930s, this timeless classic will capture the heart of every reader, young or old. Dorothy Gladys 'Dodie' Smith was born in 1896 in Lancashire and she was one of the most successful female dramatists of her generation. 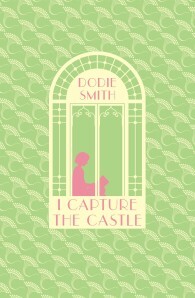 Her first novel, I Capture The Castle, was written when she lived in America during the 1940's and marked her crossover debut from playwright to novelist. The novel became an immediate success and was produced as a play in 1954. She has written numerous other novels but is best known today for The Hundred and One Dalmatians, a story for younger readers. The Hundred and One Dalmatians became the basis of two Disney Films.